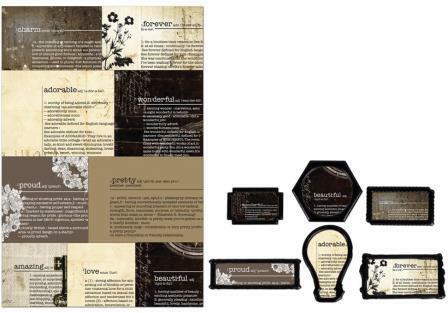 PRIMA MARKETING-Engraver Newsprint Decorative Frames. Engraver Collection - Newsprint Decorative Frames. These are the perfect touch to make any scrapbooking page stand out! Cut and frame a portion of the 5.25"X8" dictionary newsprint sheet to call out a word or description. Great embellishment for scrapbook pages and cards.